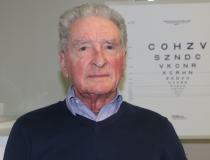 Successful trial on patients using new stem cell based treatment for wet age-related macular degeneration (AMD). Results from a clinical study suggest the treatment is safe and effective. The study is a major milestone for the London Project to Cure Blindness and could lead to an ‘off-the-shelf’ treatment within five years. 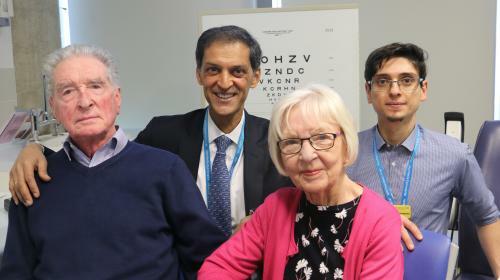 The results of this ground-breaking clinical study, published in Nature Biotech, described the implantation of a specially engineered patch of retinal pigment epithelium cells derived from stem cells to treat people with sudden severe sight loss from wet AMD. It is hoped that it will also help treat dry AMD in the future. It’s the first description of a complete engineered tissue that has been successfully used in this way. 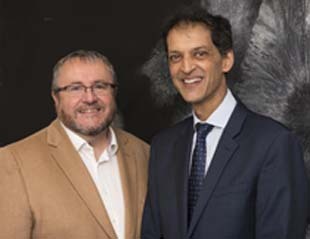 The study is a major milestone for the London Project to Cure Blindness, a partnership between Professor Pete Coffey from University College London and Professor Lyndon da Cruz, a retinal surgeon at Moorfields Eye Hospital NHS Foundation Trust and Moorfields Private, the UCL Institute of Ophthalmology, and the National Institute for Health Research (NIHR). The study investigated whether the diseased cells at the back the patients’ affected eye could be replenished using the stem cell based patch. A specially engineered surgical tool was used to insert the patch under the retina in the affected eye of each patient in an operation lasting one to two hours.